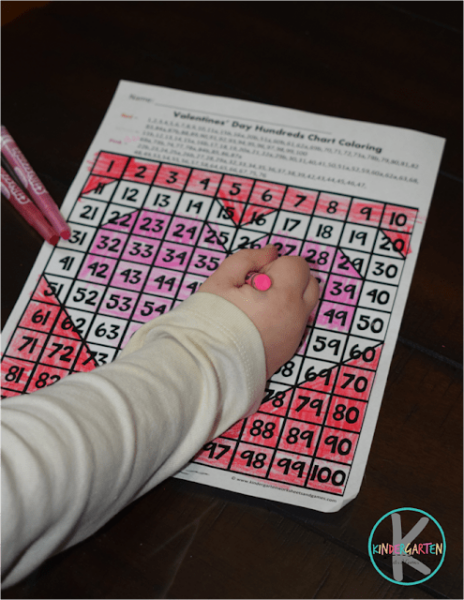 Kids will have fun practicing matching letters with the pictures that make the same sound in this fun, hands-on Alphabet Valentines Activity perfect for February. 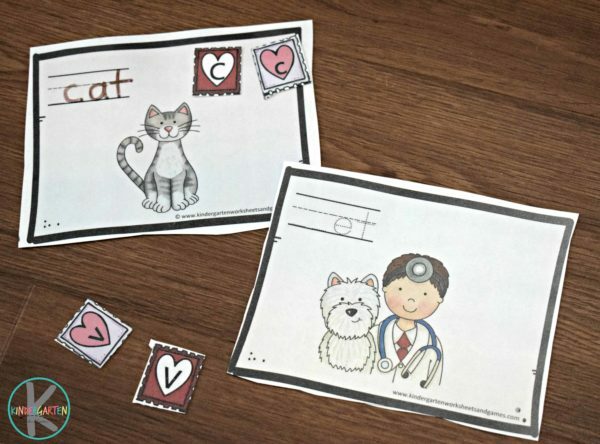 This is such a clever way for kids to practice beginning word sounds while having fun matching the uppercase and lowercase letters that make that sound to make Valentine’s Day Mail for Preschool and Kindergarten age kids. 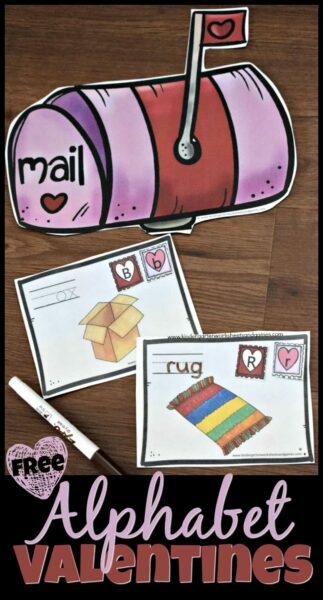 Start out by printing out the pages of mail (with four alphabet valentines per page) and the pages of uppercase and lowercase alphabet stamps. Then, laminate the pages and cut apart. Kids will say the picture on the mail out loud and figure out what beginning sound is missing. 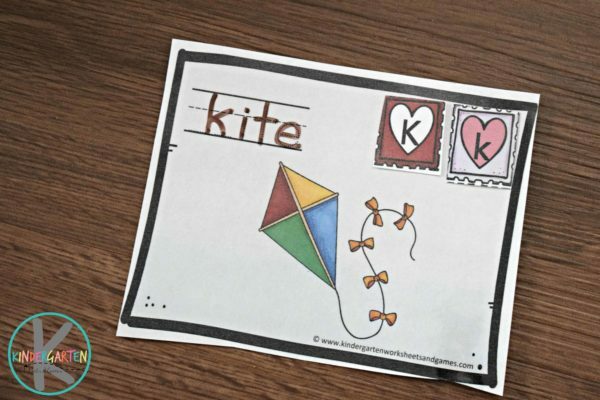 Then they will use a dry erase marker to write that letter and trace the other letters to spell the picture image. Finally, students will put both an uppercase and lowercase letter stamps on their mail. If you like, students can set the mail in the mailbox. 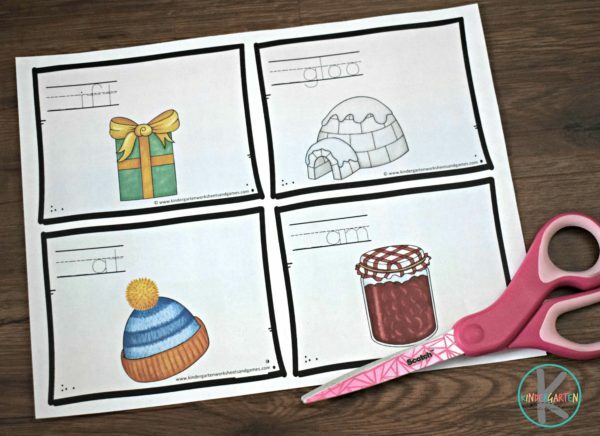 This activity is not only great phonics practice, but reusable. 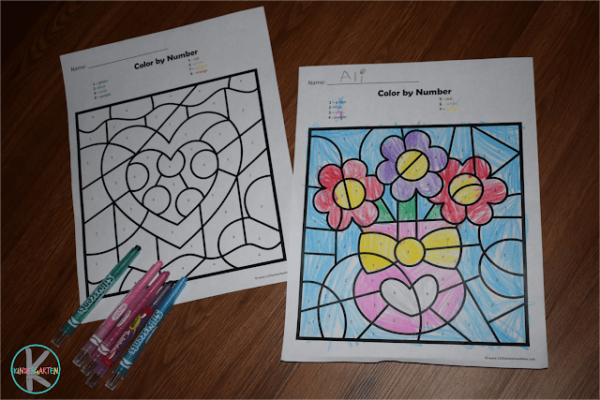 Just wipe clean and you are ready to let kids practice this FEbruary literacy activity again. Cannot find a download “button” for the llama love writing kit.What am I missing?